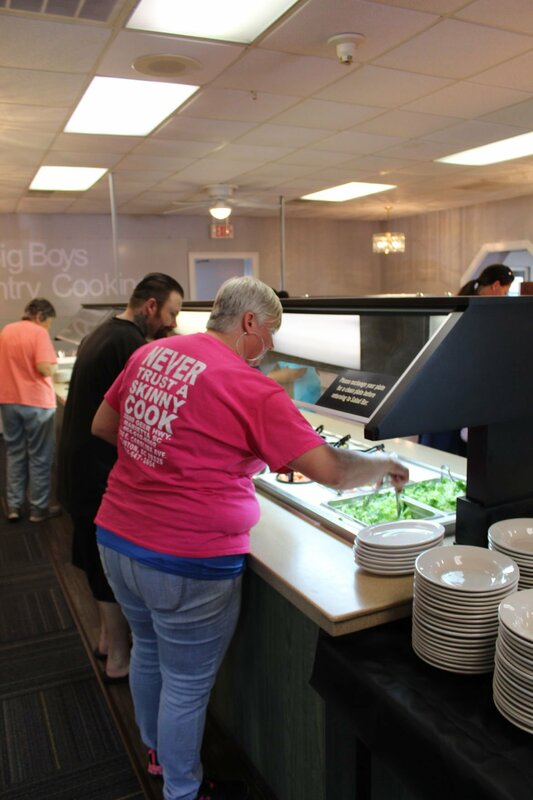 Big Boys Country Cooking held its grand opening on Tuesday, and it must have gone well. Business was still booming on Wednesday. 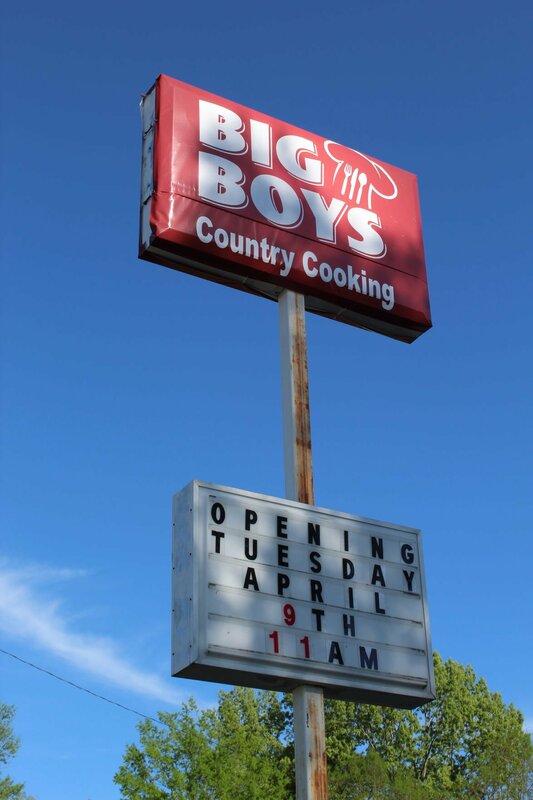 Big Boys, at 306 E. Carolina Ave. (U.S. 76) in Clinton, serves exactly what its sign says. It has a large salad bar that conveniently offers all ingredients on both sides so that no one has to “excuse and pardon me” his or her way to the other side in order to sprinkle sunflower seeds or grated cheese on the lettuce. And the croutons are quality. In an age in which chickens are raised like NFL linemen and frying chicken any way but deep is virtually impossible, the chicken at Big Boys has a distinctive and tasty crust. In an age in which Texas has tried to infiltrate the nation with its chicken-fried steak, Big Boys serves the “country-fried steak” (fried but then simmered in gravy) that is indigenous to this area. The bread is moist and tasty. The potatoes are really mashed. The vegetables require little seasoning to hit the spot. The selection is greater than the stomach’s capacity. The squash and cabbage will have to wait until another visit. The strawberry cake was moist, and trying another variety unthinkable, though eminently tempting. The ice cream bar features sprinkles, nuts and toppings. The lunch buffet is $9.99. Dinner is $10.99. Fish Fry Friday (starts 4 p.m.) is $12.99. Saturday Breakfast Buffet is $8.99 from 8-11 a.m. Smokehouse BBQ Saturday (4 p.m.) is $12.99, as is Kitchen Sink Sunday (11 a.m.-4 p.m.).